I’ve said it once, but I’ll say it again: My style is simple, but I like to think that doesn’t equate to boring. I still love statement pieces and a wide range of brands, and I even surprise myself from time to time with an out-there outfit idea, but when it comes to my day-to-day look, I like to keep it pretty minimal and classic. 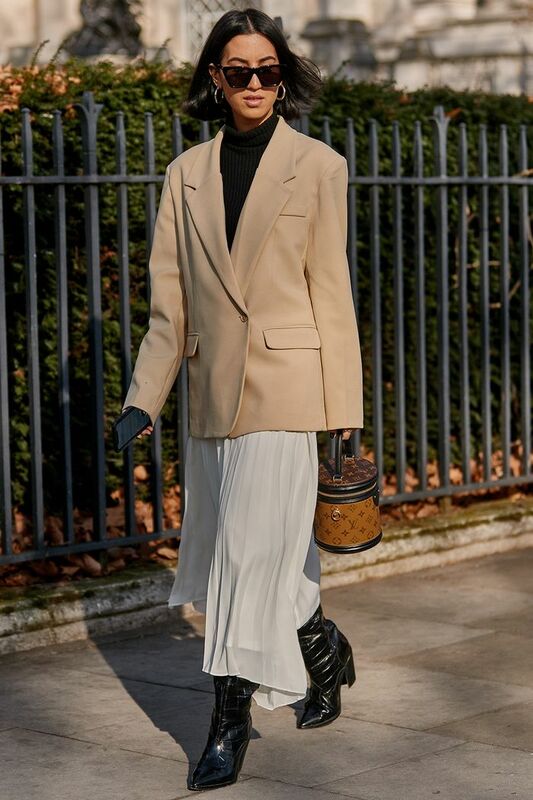 It’s funny though, because those two adjectives aren’t exactly what spring to mind when you think of street style which, with each new season, becomes more and more exaggerated and over the top. However, I’ve realised that if you look closely enough, there are still a handful of show-goers who skip the many, many statement pieces and deliver simply good outfits that are composed mostly of basics. Don’t believe me? 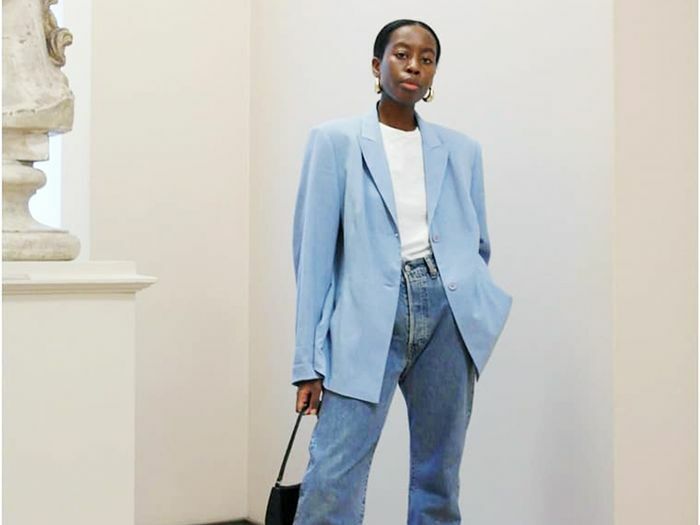 Just keep scrolling to see (and shop) 7 street style outfits that even those with minimal style won’t be able to help but love. A boxy blazer and flowy midi skirt is one of my favourite minimalist outfit pairings. The key is to accessorise with heeled boots and a mini bag to balance-out the roomy proportions. Now this is a look I can get on board with. This cosy knitwear ensemble is deceptively simple (it's literally three components) but it still manages to look oh-so chic, thanks to the on-trend Mary Janes and oversized silhouette. Simply tuck a sweater into high-waisted jeans and pair with boots in the same colour family. The tonal effect makes a big impact. It doesn't get more timeless than a blazer, skinny jeans and pumps—especially if they're Manolos. While you may have to ditch the coat part now that spring is here, the idea behind this look still stands: white T-shirt, white jeans, white flats and a pop of colour in the form of a bag.